Picture this: Something phenomenal happens to you and you want to share it with your friends online but Facebook’s feelings and reactions just aren’t cutting it. What do you do? How can you let it all out and virtually scream it from the rooftops? There is a perfect solution – post a GIF! 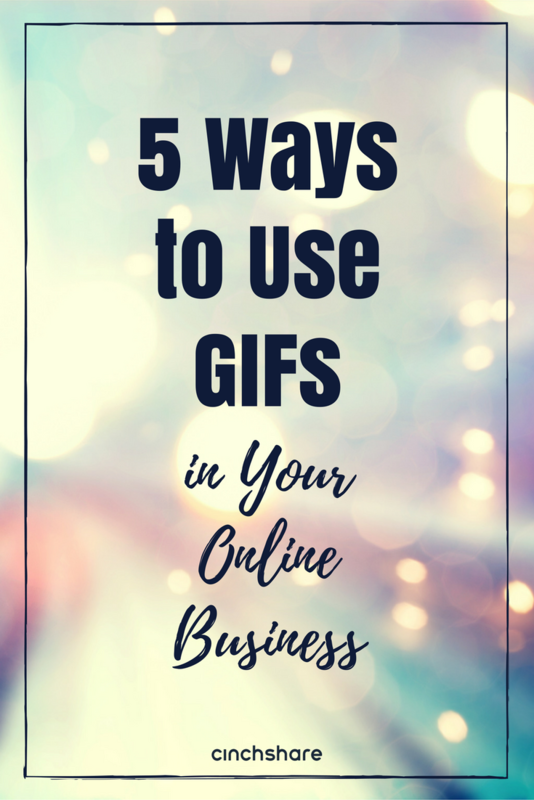 Today, millions of GIFs are shared daily on social platforms to help people get their point across and they’re a super fun way to show your personality online and set yourself apart from the masses. There’s pretty much a GIF for everything and anything you need to let your audience know exactly how you’re feeling. The best places to find them is on Giphy, PopKey or by a Google image search. So easy it makes you feel like dancing! You can also create your own GIFs and don’t worry, it’s not hard at all! I created the one below in Ezgif but if you have an iPhone you can download the Giphy Cam app or Giffer and Android users can download Gif creator to make GIFs on the go! 1. Show Your Personality – Work should be fun right? We all love what we do and since we’re mostly online and not face to face, what better way to keep things upbeat than by sharing a GIF! Humor goes a long way and your followers are more apt to check in with you if they know you’ll brighten their day with a funny GIF. 2. Reveal Products – Creating your own GIF can quickly showcase your feature product in seconds! Give them all a sneak peek. We love this idea for Facebook party pre-posts! 3. Make a Demo – Think of the possibilities here! A quick step-by-step How To for applying that mascara, nail wrap or body wrap. What ideas can you think of for your products? 4. Create Personalized Posts – Whip up a welcome post for your party or VIP Group instead of a regular video. Announce a winner, wish a team member a happy birthday and thank your host when you wrap up the party. 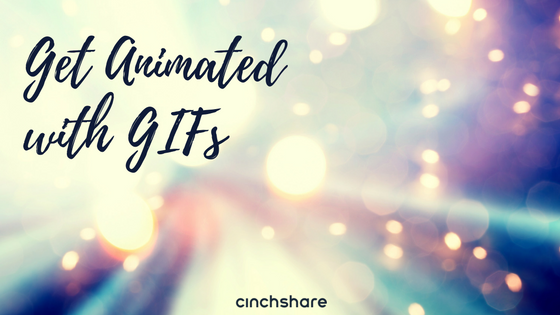 Creating your own content with GIFs is a great way to increase engagement and be original! 5. Share Your Why – Showing your followers a tiny glimpse into your life and sharing your Why with them will create a stronger bond. Being personal and real is definitely the way to go when marketing online. Brand yourself and show them who you really are! BONUS: Want to know the best part about sharing GIFs? You can now schedule them in CinchShare! It’s so easy to do, just copy the image address and pop it into the Photo Url field. Try it and let us know what you think! This looks like such fun! Thanks for this great tutorial and inspiring us to do more! It’s our pleasure Carol! Have a great time with your GIFs! Oooh! I’m going to make a GIF of images from our new spring brochure and post it my Facebook party! Thanks for the great ideas! That sounds like an amazing idea Lorraine! So fun! CinchShare just gets better and better! Thank you for always making network marketing easier! So nice of you to say Marianne, thank you! Lots more to come! I’ve used this before but want this creative . I will use this . This looks so easy — not to get the creative juices flowing!